Take your favourite books on-the-go using this Kobo Aura H2O eReader. With an 8GB hard drive that can store up to 6000 books, it offers the space you’ll need to create the library of your dreams. Thanks to the energy saving design, it has a superb battery life too which can last for weeks on a single charge. This model makes the perfect traveling companion with an easy-to-read 6.8 inch screen and built-in ComfortLight Pro technology – complementing the ambient colour and brightness of your surroundings to reduce eyestrain. 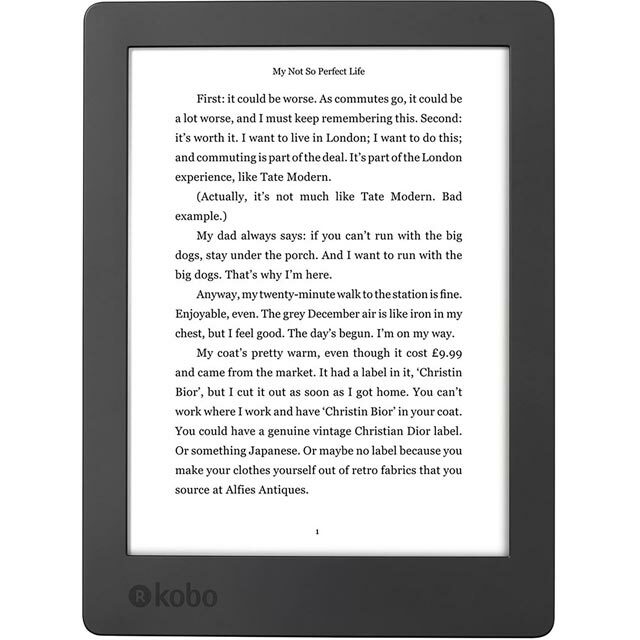 You’ll get access to the Kobo eReader Store as well, which offers over 4 million books for you to browse, buy and read. * N867-KU-BK-K-EP was at the higher price between 24/12/2018 and 15/03/2019.